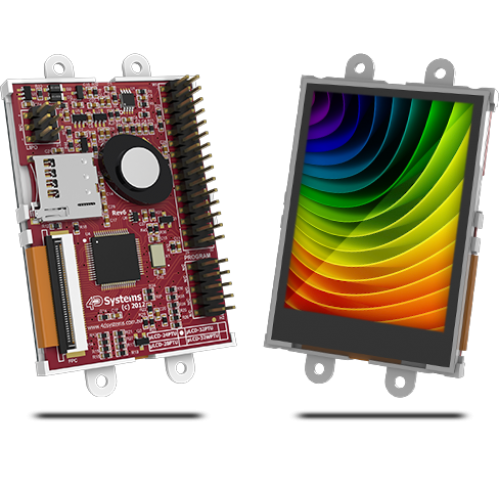 2.4" Raspberry Pi Display Module PackThe uLCD-24PTU-PI is a Raspberry Pi Display Module Pack, which includes a uLCD-24PTU 2.4" LCD Display with Resistive Touch, a 4D Pi Adaptor and 5 way interface cable. The uLCD-24PTU-PI customises the uLCD-24PTU Display specifically for interfacing with the Raspberry Pi, to provide a quick and easy interface without any wiring hassles. 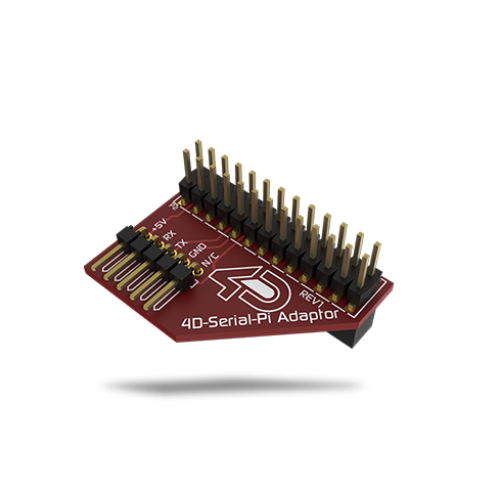 The Raspberry Pi Display Module Pack enables a Raspberry Pi user to quickly connect the 4D Pi Adaptor Shield to their Raspberry Pi, connect the 5 way cable between the Adaptor and the Display Module, and be connected in seconds to start programming their new 4D Systems Display. The uLCD-24PTU-PI has a comprehensive ViSi-Genie library written to communicate with the Raspberry Pi, allowing the Visi-Genie events to be easily understood by the Raspberry Pi and users code. Utilises the Raspberry Pi's UART Serial Port.